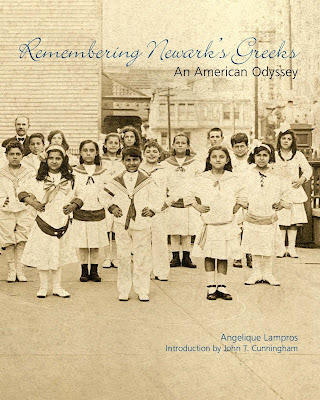 Book “REMEMBERING NEWARK’S GREEKS; An American Odyssey”, authored by Angelique Lampros, introduction by John T. Cunningham, published in 2006 by The Donning Company Publishers. This book is beautifully illustrated with 322 photographs, including quite a few group photos where practically everyone is identified. In total there are 1,039 Greeks from Newark named. Note: I noticed that several of the names are spelled differently throughout the book. What makes this book very different than others that have been published about Greek-Americans is that excerpts from many different interviews are scattered throughout the book. ---------- Below you will find a description of the book, the Table of Contents, and a list of 1,039 names included in the book.